1. It will tell you how much house you can comfortably afford. One of the worst things that can happen during your home search is to find out you don’t qualify financially for the house you just saw and fell in love with. 3. It will put you in a much stronger position when it comes time to write an offer. Sellers want to know that any offer they receive is being submitted by a serious buyer — someone who is ready, willing and able to buy their home. 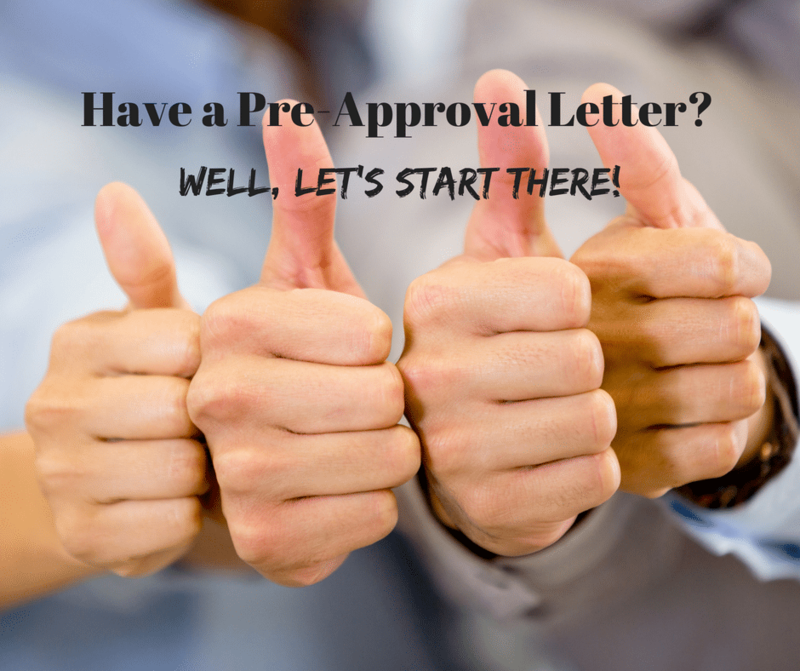 Including a pre-approval letter with the offer is one of the best ways to prove that. 4. It allows you and me to use our time most efficiently. Your time is precious, and so is mine. Let’s use it the best way possible by focusing on those homes that meet what you are looking for as far as location, number of bedrooms and baths, and most importantly price. Put yourself in the best position possible both with your real estate agent and the seller. Meet with your lender and get that preapproval letter before beginning that home search. Get Started on the Road to Homeownership Today!